Kansas City Royals’ new acquisition Jeff Francis reflects on how his future starts relate to his “okay” performance—a term Royals Manager Ned Yost used to describe his recent outing against the Los Angeles Dodgers. Philadelphia Phillies Starter Roy Oswalt seems to follow a similar mentality. Cincinnati Red’s second basemen, Brandon Phillips, echoed a similar sentiment on how his team prepares for the season. So what do all these players have in common? They are Veterans with valuable career and playoff experiences. Players build up the team’s rosters during Spring Training, but the Veterans’ Experiences in the clubhouse define the player’s extended performance during Spring Training and throughout the season, thus shaping the franchises’ long-term plans of developing a competitive ballclub. Every offseason, franchise holds internal discussions to improve their ball club, such as bringing in new players. The Royals, for instance, brought in Jeff Francis to compete for a spot in their rotation. But this franchise, like any other, does not bring in random, new players from nowhere. This franchise brings in veteran players to display leadership through their makeup, their mentality and their routines. Their major league experiences is supposed to hold current and upcoming player accountable for the team’s long-term goals. In this case, the Royals brought in Francis to nurture their younger pitching prospects, while serving as a reminder to their current players that their performance defines the team’s future, despite the results posted in the upcoming season. So every team every offseason, be it a competitive or non-competitive team, strives to bring in new veteran experience and leadership in the clubhouse, providing new insights that builds on other Veteran’s Experiences. “The one thing that I could help out with is to keep everyone relaxed,” said Jeff Francoeur in an interview with MLB.com, another off-season acquisition by the Royals with playoff experiences. Spring Training is the period to soak in the Veteran’s Experiences, especially the young players hoping to make the roster. After the Phillies’ Right Fielder last season, Jason Werth, departed this offseason to the Washington Nationals, rookies, such as Outfielder Dominic Brown, have a chance to become the regular Right Fielder during Opening Day. Dominic Brown could be in the Opening Day lineup by absorbing his fellow Veteran’s Experiences of playing an everyday position. Although Rookie players may struggle replacing their predecessors because of their inexperience, they must be ready to make adjustments, the same way seasoned players would retain their playing time. In Dominic Brown’s case, he is following his hitting coach’s advice to improve his swing. 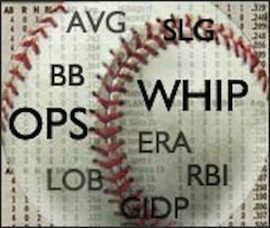 After Spring Training, players and ballclub prepare for opening day, having made at-bat and on-field adjustments, and continuing to do so to remain competitive throughout the season. But if teams want to surpass each series heading to the World Series, they must continue following veteran leadership to prepare for each upcoming series. That way, the team could focus more on winning the World Series, and focus less on the playoff pressure within every series. The Reds won the National League Central Pennant last year under Veterans with playoff experiences, such as Third basemen Scott Rolen and Utility Infielder Miguel Cairo. However, they fell short against the Phillies in the National League Division Series, partly because the Phillies had back-to-back World Series appearances prior to last year’s loss to the San Francisco Giants during the National League Championship Series. The Phillies, nevertheless, remained competitive these last two years by retaining their core players from their 2008 World Series roster, while building on their roster with new veteran acquisitions. The Reds, meanwhile, hope to follow a similar framework, building on their own playoff experiences by mixing new veteran leadership with their old ones to hopefully surpass last year’s success. They brought in, for instance, two-time World Series MVP, Edgar Renteria. But the Reds could begin chasing their World Series dream by striving for more “excellence” right now, an expectation Reds Manager Dusty Baker has for the upcoming season. That’s our team slogan, so to speak,” said Dusty Baker in an interview with MLB.com.